The biggest Afropop trends come from the streets, but who profits? They may not be markers for quality, but generic pop hits are indicators of popular trends in music. As a genre subject to the whims of popular demand, an overwhelming percentage of Afropop tends to mirror the dominating sound. Usually, the norm is a rampant proliferation of whatever music style, practice, or even artist aesthetic that is garnering the highest appeal. 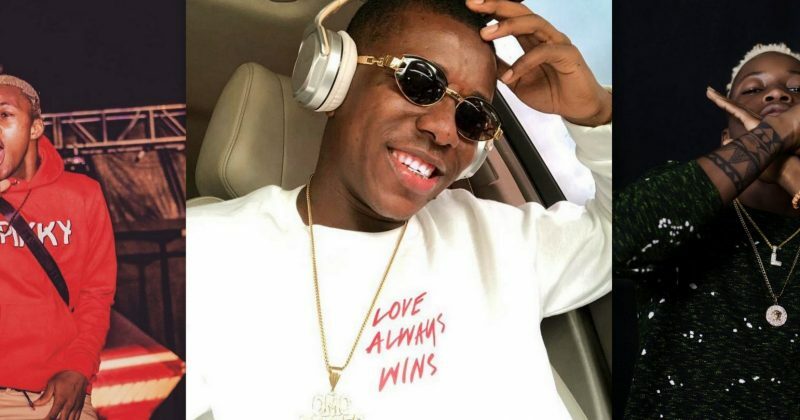 Just last year, Duncan Mighty made an auspicious re-entry into the mainstream, with “Fake Love” , a collaboration with Wizkid. Within months of the hit, Mighty stacked a host of collaborations with A-list stars effectively becoming the hottest commodity around. Because music is inadvertently a commodity, the perception of opportunity means financially-buoyant artists, record labels and other gatekeepers, are always on the prowl for bubbling musical trends already turning heads, like investors hungry for profitable innovations. If this sequence seems exploitative, that’s because it is. Unsurprisingly, this voyeuristic tendency for popular trends is also most glaring in the trajectory of Nigerian street music and its firebrands. The mass concentration speedily moves artists from novel to modish to oversaturated, at which point there’s either normalization or a fade into obscurity. What follows is the pervading desperation for something/someone new to introduce the next predominant thing, so the cycle can be repeated. In the last days of 2017, the ‘Shaku Shaku’, a dance move involving quick leg and arm movements became a global phenomenon. The dance was accompanied by bonafide street hits like Mr. Real’s “Legbegbe” and Idowest’s “Omo Shepeteri”, which featured Slimcase. Not only did this sudden spotlight throw the more underground street artists into overnight stardom, but the novelty of their sound would also erode in time due to its unmitigated adoption by the mainstream. At the end of last year, Zanku replaced the Shaku Shaku as the new preferred dance move, thanks to the seismic success of Chinko Ekun’s “Able God”. Zlatan, who had a stand out verse on “Able God”, has since become the newest sensation. In the time since “Able God” became a national hit, Zlatan has dropped verses alongside Davido to Burna Boy and (gentrifier-general), DJ Xclusive. In the post-internet age of heightened exposure and access, it’s not uncommon that something or someone random becomes the rave of the moment. These days, an inexplicably street-looking group of young boys in a freestyle video, is a recipe for virality. YBNL scooping up Picazo Rhaps, off a video freestyle is perhaps the greatest indicator for why rappers like Lil Frosh, have surfaced and more of them are expected to pop up, till year end. While this availability of new choices should be an exciting break from the monotony of Afropop, the mainstream’s penchant for limiting, or even altogether precluding itself of the moral responsibilities owed to what/who is profited off, is a jarring downside. The increase in omnivorous tastes has broadened Afropop’s scope amongst a wider audience range, but the genre’s cultural value hasn’t elevated past its objectified state. Incoming sounds considered as oven baked and lowbrow especially, are tugged at incessantly, simply for the sake of hits. This treatment effects a serialisation, one that creates a perception that the genre is, more or less the sum of its most economically valuable parts at a point in time. The domino effect of this vulturing is two-fold. At the local level, originators of temporarily predominant styles face either mainstream inattention or flat out obscurity after brief intense popularity. It is telling for example that Small Doctor’s innovative Fuji-Pop, didn’t push him into pioneer reverence. On a wider scale, this exploitative trend-adoption culture affords unguarded leeway for specious narratives to be peddled. Narratives are often owned by those who popularize them, especially where none pre-exists in definitive terms. This is why it is important to understand why the oversimplification of African music is dangerous; on one end, the music becomes more accessible to non-Africans, but undefined context behind the music also subjects it to a potential loss of history. For example, The discord associated with ‘Afrobeats’, the misnomer, propagated in the UK, wraps contemporary African pop music into a neat box, complete with a bow, a conundrum actively aided by the self-styling of Afropop as a revolving door of fads. But when we Africans rob each other of true origin stories behind our music, it would be hypocritical to be surprised when outsiders do the same. While the Shaku Shaku started on the streets of Lagos, it was accompanied by music brazenly owed to the South African House subgenre, Gqom. This detail, though vivid and of utmost importance, wasn’t widely acknowledged and probably for good reason. In early 2017, Mr. Eazi caught flak online after stating that Ghanaian music has been influential to Nigerian music. While the since-deleted tweet was a little to blunt to escape the ire of prideful Nigerians, his claim is actually backed by proven history that goes all the way to Fela. It is disingenuous that many wouldn’t accept that cross-pollination is important to Afropop. Genre identification not only signals diversity, but it also offers the opportunity to emphasize the genre’s encompassing range and hybrid capabilities. The broad but definite identity of Latin Pop offers a great example, a genre that spans subgenres from the ubiquitous Reggaeton and Salsa to the lesser known ones like Dembow and Merengue. The recognition of various subgenres explicitly respects that Latin Pop is a nebulous aggregation, thereby owning its narrative in the process. For Afropop to own its full narrative, it needs to go beyond exploiting its own sounds solely for monetary value and respect the potential for impact and longevity each style has to offer. Charity, as they say, begins at home. Dennis is an advocate for drinking water and occasionally minding other people’s business. Tweet him your favourite Idowest songs @ayo_dennis.